Steamy and chic! 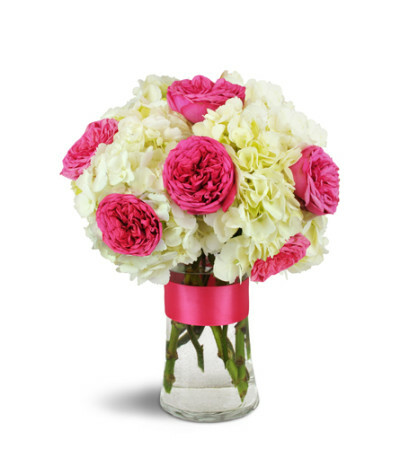 Hot fuchsia garden roses leap out from a background of sweetly feminine white hydrangea, perfect for a summer birthday or for any special fashionista! Stunning fuchsia garden roses are arranged with delicate white hydrangea for a modern, festive delight! 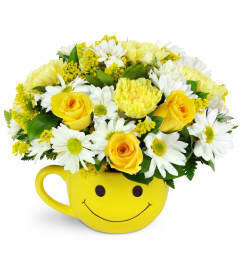 I had a great experience with Q florist. Flowers looked great and were delivered in a timely fashion! First time i order flowers in new York. Flowers were beautiful and fresh and girlfriend loved. Will definitely be using again and thank you very much for making someone happy. Many thanks. Very pleased with this service. 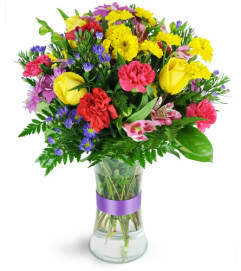 The flowers were great and they allowed me to make a delivery address change with no cost or issues. 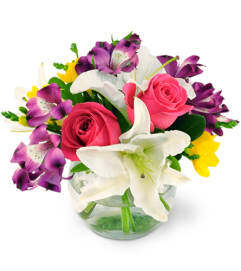 Q Florist is a Lovingly Florist in Upper West Side. Buying local matters. Discover how Lovingly supports local florists. Copyrighted images herein are used with permission by Q Florist.